You are here: Home / News / Connect Online With Us! Heartlands Building Company wants you to connect online with us! We have been experiencing continuous growth and want to keep you informed on all the progress with our projects. Please see below for all the ways you can connect with us online. Click on the icons below to be taken directly to each social media site. Follow us on Twitter to receive brief updates on your profile’s newsfeed. Follow us on Pinterest to view various categorized boards including photos of completed projects. Follow us on Google+ to receive news updates and view photos of completed projects. If you are a previous customer, you can also leave us a review! Please click here to be taken directly to the review section on Google+. Follow us on Instagram to view various updates and photos of completed projects. 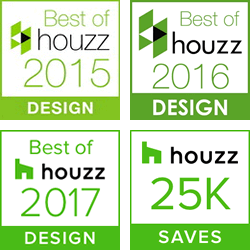 Follow us on Houzz to view various updates and photos of completed projects. As a homeowner, you can create ideabooks to put your preferences together before you start a project with Heartlands Building Company. It’s like Pinterest, except it is specifically for homeowners! Follow us on LinkedIn to connect with our employees and view various updates and photos of completed projects. You can also subscribe to our newsletter below. If you have any questions or need more information, please contact us at info@heartlandshome.com.